Billionaire Bill Gates wishes that if he had one superpower, it would be the ability to read faster. Information is the most valuable commodity out there, and our ability to read faster can undoubtly speed up how fast we learn. So how do we read faster? Before we learn how to read faster, we need to know what our current reading speed is. According to Staples, the average reading speed of an adult is 300 words per minute. To find out what your reading speed is, take this reading speed test by clicking here. In movies or TV, you may have seen genius individuals who breezed through encyclopedias with nearly perfect memory of the information obtained. This may make for great entertainment, but it’s simply not realistic. According to eye-movement expert, Keith Raynor, going above 500 words per minute is highly unlikely because of the difficulty of processing the visual information given the mechanical process of moving our eyes. Speed reading experts have claimed that you can bypass this barrier by reading and processing multiple lines at the same time. 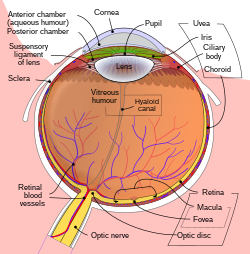 a. the fovea — area of our eye that process details — is only about an inch in diameter at reading distance, making it very difficult. This means that our reading speed is limited to the physical constrains of our ability to fixate on visual information, which is rather small. Subvocalization is the inner voice in your head that speaks the words outloud when you’re reading. Speed reading experts claim that getting rid of subvocalization is essential in order to improve your reading speed. As Scott Young argues, while reading without using your inner voice may speed up your reading, it sacrifices something more important — comprehension. Subvocalization is necessary to understand what we’re reading, and even the fastest readers subvocalize. The difference is, they just do it faster than the average reader. NASA has even built systems to pick up these impulses, in order to browse the web or control a spacecraft. Just like you would use subvocalization when trying to learn a new language, read for comprehension, not for the sake of speed. To read more about subvocalization, check out this article. We often mistake the act of reading for improving our reading speed. This can’t be the case because practicing speed reading involves stretching our normal reading speed. Chances are, comprehension will go out the door because you’ll still be used to your normal speed. It’s ineffective to try to improve your reading speed, with expectations to comprehend the information you’re reading. When you’re reading, read for the sake of reading. And dedicate time separately on reading exercises to improve your reading speed. With that said, there are useful reading techniques that you can use to improve your reading speed, while maintaining the comprehension of what you’re reading. Most of the content we read on a regular basis starts with an end goal in mind. It could be a catchy headline we came across on Facebook, a book that we’re reading to learn a language faster, or something a co-worker has asked us to review. The point is, knowing what you want out of a text before you read it helps prime your brain to pay attention to specific words or sentences. You’re on the hunt for something specific, not a wanderer. This also helps you slow down when you’ve discovered an important section of the text, and pour your full focus to understand it completely. In short, skimming is a reading technique where we selectively pick up parts of information. Skimming can be incredibly effective once we know what information we’re looking to obtain. A study has found that skimming a text before reading it, improves the comprehension in most cases. Think about when you were in school taking an important exam, where time was constraint. We quickly skimmed through the exam papers to know how the exam was structured, what type of questions were asked, and which points were worth the most points. From there, we knew how to manouever through the exam faster and more strategically. Using a pointer can be very effective, especially when you’re initially practicing speed reading. Our eyes are constantly moving, and using our index finger or a pen to stabilize these quivers will keep us on track. At first, it may feel that you’re reading sleep has decreased, but give yourself some time to adjust. Once you get the hang of it, start moving your pointer faster than you can read. This will force your eyes to adjust to a faster speed, while stabilizing your natural eye movements. Now that you have your pointer, it’s time to maximize its usage. According to Tim Ferriss, an average reader who reads from the 1st word to the last word of each line, are only using 50% of their peripheral vision. 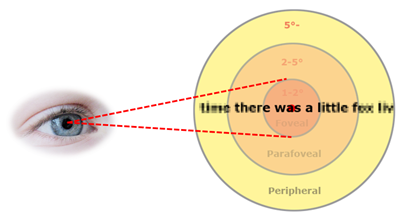 The way to improve your peripheral vision is what Ferriss calls Perceptual Expansion. Use your pointer (pen or index finger) to track and pace at a consistent speed of one line per second. Begin 2 words in from the first word of each line, and end 2 words in from the last word. Begin 3 words in from the first word of each line, and end 3 words in from the last word. Repeat the technique. You should continue at the speed that you’re reading until you are accustomed to the pace. From there, challenge yourself to begin 4 words in from the first word of each line, and end 4 words in from the last word. Try to aim for 1/2 second reading per each line. Don’t worry if you comprehend little or nothing at all. As we mentioned previously, this is the reason why we separate reading and speed reading practice. Expanding your peripheral vision to save 2 words per line may not seem a lot, but when you’re reading a book: it can save you hours of time. There’s no effective tactic or strategy around this, except to read about topics you’re truly interested in. Even the fastest, trained readers can’t maintain their reading speed or comprehension skills, if they’re reading something that bores them. If you’re forced to read something you’re not interested in (i.e. for a school exam, a driver’s license test, etc. ), be more optimistic and open-minded about the topic at hand. Think about ways that this information can be applied in your life in the future, and appreciate that whatever you’re reading is benefiting you in some way or another. That’s all there is to it you guys! Any one of you can start improving your reading speed and start absorbing information faster. Remember, improving your reading speed comes with great benefits, including saving time, being more productive, and becoming a faster learner in all aspects of your life. Now it’s time for you to become a speed reader. You just have to decide. Have you tried these tips to improve your reading speed? Which one of them worked for you, and which one didn’t? What are your best tips on how to read faster?